What I like about this recipe is that most of the ingredients were already stocked in my pantry. 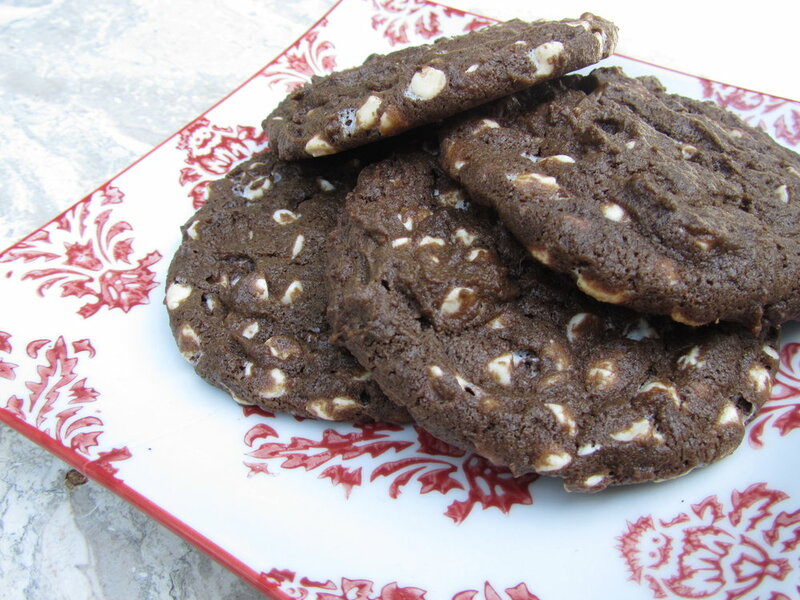 If ever, the only thing you might have to go and buy is the white chocolate chips and you're pretty much set to make these chewy double chocolate treat. Sift together the cocoa powder, flour, baking soda, and salt and add to the butter and egg mixture. Mix just until incorporated. Fold in the white chocolate chips to the cookie mixture. Spoon about 1 1/2 tbsp. of the cookie mix recipe onto the prepared baking sheet, placing them about 2 inches apart. Bake the white chocolate cookies for approximately 8-10 minutes or until the cookies are still soft in the center but are firm around the edges. Remove from oven and let cookies cool on baking sheet for about 5 minutes before removing the cookies to a wire rack to cool completely.